Jaguar I-Pace Review 2019 | What Car? It all started around 20 years ago when Apple introduced the first iMac and not only saved itself from bankruptcy, but also became a brand others desperately aspired to be like. Since then, the letter 'i' has been used on everything from newspapers to teddy bears in the hope that some of that magic will rub off. 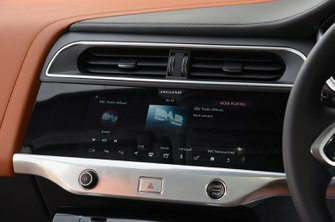 However, the Jaguar I-Pace is unusual in that it actually feels like a product Apple might have come up with itself. As an electric car and an SUV, it’s right on trend, competing in two sectors of the car market that are growing fast. But just as importantly, Jaguar hasn't played safe and simply stuffed lots of batteries into its conventionally-powered F-Pace SUV. Instead, it has created a car that remains faithful to the dramatic I-Pace concept first seen at the 2016 Los Angeles motor show. 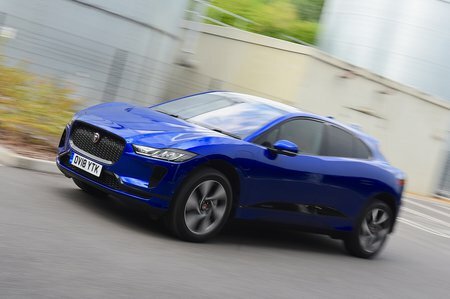 And as a result, the I-Pace looks like it has driven straight off the set of a sci-fi movie. True, Jaguar isn’t the first brand to build an electric SUV, having been beaten by Tesla and its its Model X. But that’s a much bigger car and costs many thousands of pounds more. Instead, the Tesla that most closely matches the I-Pace on price is the American firm’s luxury hatchback, the Model S – at least until the smaller Model Y SUV arrives at some point towards the end of 2021. So, how does the I-Pace stack up? To find out, read on, because in this review we’ll cover everything from what it’s like to drive and how practical it is, to how much it will cost you to buy and run. Alternatively to see how much you can save on a new Jaguar, click here.